Provide comfort for the family of Arne Pedersen with a meaningful gesture of sympathy. Arne Pedersen, 87, of Essex Junction Vermont died peacefully on January 11, 2019. Arne is survived by his wife of 64 years Lillian, daughter Sharon and husband Dale, son Darren, granddaughter Karey husband John and children Brody, Ayden and Maverick, step-children Dan and daughter Vanessa, Wendi and children Jessika and Jolina, brother John, sister-in-law Sophia, along with numerous beloved nieces, nephews, spouses, significant others and a host of dear friends. Arne was born in Princeton, New Jersey to Viggo and Edel Pedersen who immigrated to the US from Denmark. He grew up on a dairy farm with his 4 siblings in Plainsboro, New Jersey. Arne is a Veteran of the Korean War serving in the United States Army as a Paratrooper receiving an Honorable Discharge in 1952. Arne started working for IBM in Dayton, New Jersey before transferring his family to Essex Junction, Vermont in 1971 where he continued to work for IBM until retiring in 1990. 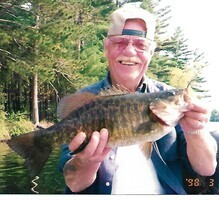 Arne was an avid nature lover and sportsman enjoying hunting and fishing, often with son Darren, resulting in endless and humorous stories of his adventures. His love of the great outdoors took him on trips all over the US including a memorable fishing trip to Alaska with nephews Pete and Bill Chamberlin. An example of his love of animals was training a Chipmunk, appropriately named ‘Chippy’ who lived under the front steps of the Pedersen home for years. Chippy knew Arne’s footsteps and voice and would run to the door to get his daily ration of birdseed often out of Arne’s hands. Arne expressed how grateful he was each day for the life he had on this earth. His quick wit, sense of humor and kindness to others will remain in our hearts and minds forever. Arne was hard-working skilled craftsman always willing to lend a hand to anyone who needed help and as a result he was well-liked and respected by everyone who knew him. Arne’s motto in life was to “never look back at the bad times but look at the present and future for life is too short”. Per Arne’s wishes there will be no services held. In lieu of flowers donations may be sent to Mission of Hope, PO Box 11103, Wilmington, NC 28404. Mission of Hope is a hospital mission project in Sierra Leone Africa started by his son-in law and good friend Dale who Arne admired so very much. 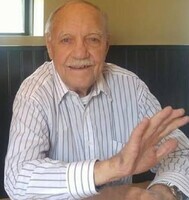 The family invites you to share your memories by visiting www.awrfh.com. We encourage you to share your most beloved memories of Arne here, so that the family and other loved ones can always see it. You can upload cherished photographs, or share your favorite stories, and can even comment on those shared by others. My sincere condolence to Lil and family. I worked with Lil at Summit for years. That's how I got to know Arne. He always had a smile. We both love to hunt and fish. Arne showed me how to fish flashers/fly combo's on Lake Champlain. We also would chat it up on the marine radio when we would troll by each other. Rest in peace my friend. We are so very sorry to hear of Arne's passing. He was someone we are proud to call our friend. Arne always treated us like family. He will be truly missed. Love and hugs to you.